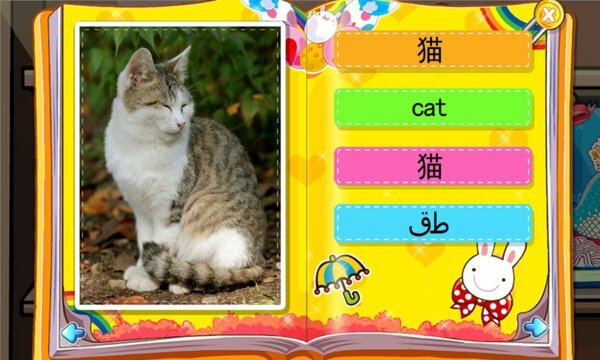 "The Animals baby learning Chinese" is a designed specifically for infants and young children with sound Chinese knowledge objects applications. Studies have shown that infants aged 0 to 6 is the life of the initial phase, this phase is a critical period of physical and mental development, it is a sensitive period of early education. This section provides a wealth of applications for the baby kind and color maps, a variety of animal shapes drawing card for the baby visual, auditory, tactile, and many other stimuli to facilitate understanding of the things around your baby flash cards literacy books, promote the baby's brain development . This application is divided into baby classes Newbie Groups, Tong Tong classes three categories, progressive approach to language difficulty parenting enlightenment cognitive intelligence left brain right brain knowledge to develop logical thinking picture stickers lianliankan free, more suitable for the baby's preschool learning, as well as buses puzzles and matching puzzle game allows your baby to win at the starting line! animals are equipped with a catchy rhymes animals, as well as Chinese and English names of animals. 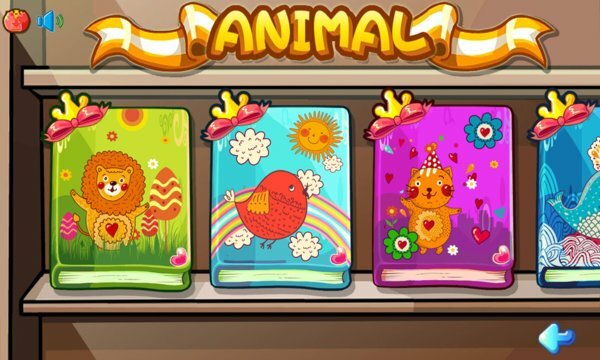 Click the animal will have animal sounds and related presentations, is a rare baby animals get enlightenment materials.